When it comes to proper hair care, there seems to be no end to the list of “rules” we’re supposed to follow: don’t skip trims, don’t use too much heat, etc, etc. We know it can be hard to keep up with all these “rules”, so today we decided to open the vault and let you in on a few of our trade secrets. We like to think of these tips as game changers, and we hope you find them as handy as we do! Pretty much everyone knows that dry shampoo is a girl’s best friend, but did you know that pairing your dry shampoo with a hair dryer will make a huge difference? It’s true! Next time you use your favorite dry shampoo, try blasting it out with your hair dryer and we swear you’ll never look back. 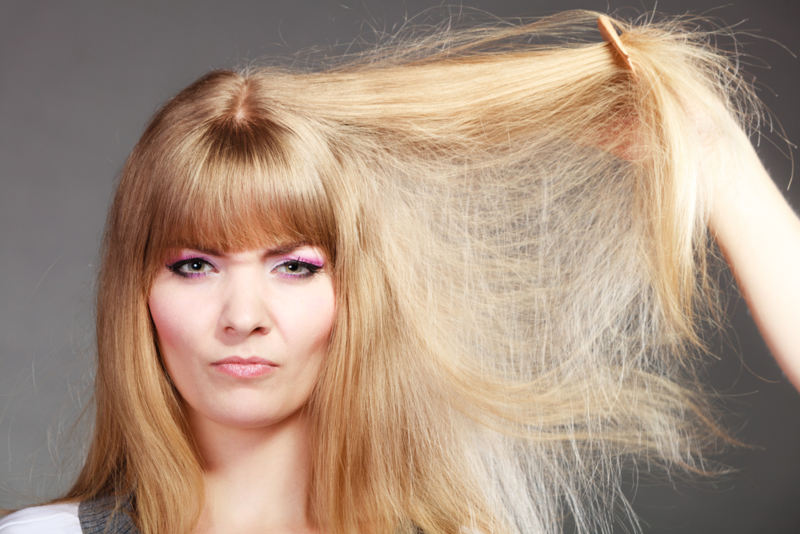 Next time you head for the gym, try applying a hair mask before leaving the house. Sound crazy? It’s not! The heat from your workout will allow the mask to penetrate deeper into the hair shaft, and the mask itself will keep the salt from your sweat from drying out your hair! Winning! When you get home, you’ll only have to rinse and style! When you get out of the shower, you may have the tendency to allow your hair to air dry a bit before styling. While we usually advocate for this practice, we do have one caveat: this is a no-go for bangs! If you sport bangs you should try to style them ASAP for the most flawless results. There are plenty of ways to hold a curling iron, but if you want to avoid the Farrah Fawcett look, make sure you hold yours horizontally instead of vertically. It may seem strange, but it’s the secret to the coveted Victoria’s Secret waves we all covet so much! If you’ve got a big event or your hair is feeling particularly unruly, style it the night before! Wash and blow-dry your hair then loosely braid or twist into a top knot. After sleeping on it, it will be less likely to frizz with a natural looking wave. Do you want to learn even more awesome tricks of the trade? Our professional stylists at Core Salon are always willing to help educate you on your own hair care at home. You can find us at 477 Route 10 in East Randolph, or give us a call at 973.537.0229. If you prefer, use our online booking tool, or our mobile app to instantly make the appointment that best suits your schedule. Download the app for free from iTunes, Amazon, or Google Play. Ladies, Put Down The Box! Hair Trends for 2018 You Don’t Want to Miss!